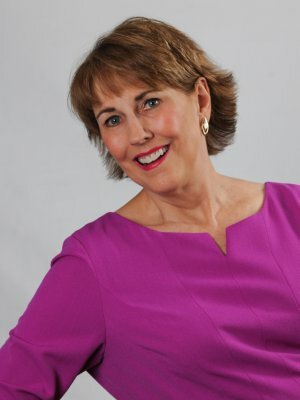 Motivational humorist and author, Kay Frances MBA, has shared her message to "lighten up, stress less and take care of ourselves" in 40 states and Canada for over 30 years. She holds a Master's Degree in Business Administration, a degree in Health and Physical Education and a 4th degree black belt in karate. She was also a family caregiver for 7 years. Kay is the author of The Funny Thing about Stress; A Seriously Humorous Guide to a Happier Life. When it comes to humor, Kay is the "real deal" having performed as a professional standup comedian for many years and appearing on a number of national television and radio programs including Lifetime Cable's "Girls Night Out" and NBC's "America's Funniest People." She also lived and performed in New York City where she appeared at the nation's top comedy clubs such as "The Improvisation" and "Catch a Rising Star." Kay Frances combines her years of standup comedy, her education and her passion for her message to offer a unique skill set not often found in one speaker. When it comes to managing stress, Kay learned the hard way by engaging in every unhealthy habit known to man. It was a long, winding, hilarious road back to sanity and good health and Kay generously shares what she learned along the way. It's clean, relatable humor-with-a-message at its funniest! Your stress level will thank you! We all know that we should manage our stress, but we don't necessarily know why or how! Stress is not something that we can or should eradicate from our lives. If we care about anything at all, we are going to experience some stress, anxiety, frustration, fear and other so-called negative emotions. In our frenzied world, people need to be reminded of the importance of managing their stress, keeping a sense of humor and maintaining a positive attitude for peak performance and success in all areas of their lives. The so-called "little things" in life can become cumulative if we don't stop them in their tracks. We need to manage our stress before it manages us! With this energetic, upbeat presentation, attendees laugh while they learn without straining their brains. This presentation is clean, funny and relatable to a wide spectrum of people. In this motivational and hilarious presentation that bears the same title as her book, Kay Frances offers a healthy dose of laughter that can be just what the doctor ordered for your event! The only constant in the universe is change. The world is going to change with or without us, so we may as well enjoy the ride! Kay believes that people who maintain their sense of humor in the face of change are happier, healthier and more productive. Change is never easy, but when we initiate it ourselves, there is an element of choice and control. Not so when change is thrust upon us by outside factors. So, what do you do?? In our fast-paced lives, we need to remember the importance of looking at change as an adventure. In this fun, lively and interactive presentation, Kay will help your people to understand and identify the things that stress them about dealing with change. And don't forget that Kay is never far from her roots as a professional standup comedian. People will laugh while they learn without straining their brains! This program is perfect for organizations experiencing change, employees and managers at all levels and both men and women. The audience will leave motivated, energized and brimming with solid tips on managing change. And, they'll have the time of their lives! Laugh! Just for the Health of It! Sure, we all know what we need to do to live happy, healthy and productive lives. Or do we? Then why are we so stressed?? Smart organizations know that a healthy workforce is the key to reducing absenteeism and lowering healthcare costs. It is also the key to people operating at their best. Kay Frances believes that the best healthcare "plan" involves actually making a PLAN to do all that we can to take care of ourselves; physically, mentally, emotionally and spiritually. With a degree in Health and Physical Education, Kay has the expertise that people need to put wellness at the top of their "to-do" list. And don't forget that Kay is never far from her roots as a professional standup comedian. People will laugh while they learn without straining their brains! Kay doesn't preach from an ivory tower, but rather shares her experience as she has done everything you are NOT supposed to do! It was a long, winding, hilarious journey back to wellness and she happily shares what she learned along the way. With this energetic, upbeat presentation, attendees laugh while they learn without straining their brains. This presentation is clean, funny and relatable to a wide spectrum of people. Not only will attendees get solid information on wellness and stress management, but they'll leave this session motivated, energized and ready to take on their challenges with renewed vigor.